Roofs are expensive and provide one of the most important functions of all your home’s components. 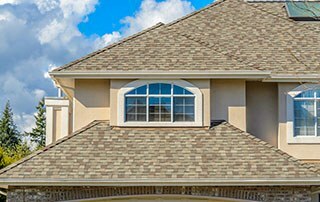 This roof maintenance checklist include both tasks that might be able to done by the homeowner as well as some best left to a pro. Regardless, all roof maintenance will help extend the life of your valuable roof. 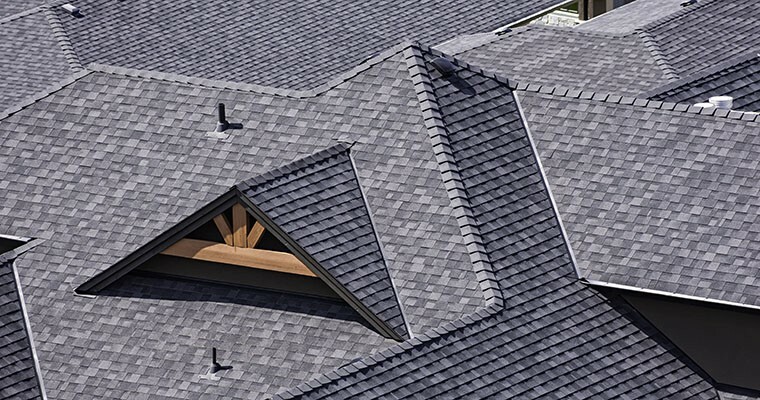 Here are seven roof maintenance tips to extend the life of your roof. Debris Removal: Remove excess debris from the roof. Moss Removal: Treat the roof to remove moss. Exterior Roof Inspection: Visually inspect the roof. Roof Treatment: Treat your roof to prevent new moss from growing. Gutter Cleaning: Clear your gutters of debris, leaves and other materials. Interior Roof Inspection: A periodic inspection of your available attic space can be quite beneficial to extending your roof’s life. Tree Trimming: Trim back any branches that directly overhang the roof. If getting rooftop is not within your comfort zone, you might be able to bring down some of the debris by washing downward with garden hose or pulling it down with yard rake from a “properly secured ladder”. Note: ladders can be every bit as dangerous as being rooftop if you are not familiar with proper ladder safety. We recommend searching “ladder safety” on the Internet to learn the basics. No matter whether it is done by you or roof maintenance company, cleaning debris off your roof is essential to preventing subsequent problems with your roof. If not immediately evident, often after removing debris you will see some moss that you might not have known was there. This is a roof maintenance task best left for a pro, both from a perspective of personal safety and for maximizing roof life. If you are able to properly (to us this means by OSHA standards) secure yourself and learn how to safely be rooftop, here are some roof maintenance tips specific to moss removal. Regardless, moss will eventually reduce the life of virtually all roof types and needs to be removed in the gentlest method possible for that specific infestation. Once cleared of debris, a quick inspection is recommended. Inspection can mean different things to different people. At the most basic level, (meaning your roof is fairly new, your do not live in a heavily treed environment, there have been no recent serious storms) a careful ground level inspection can often be sufficient. With a pair of binoculars, you can closely inspect some of the higher up roof sections. If there are conditions present such as having had a recent severe storm, an older or complex roof, or a roof with some non-visible sections, it’s best to get a pro to review the integrity of some roof elements that need a close up inspection. Examples of needed roof maintenance that an inspection might find would be the need for new or repaired vent boots, various flashing repairs or replacement, granule loss, loose shingles, shakes or tiles, soft spots in the sheathing, and the onset of moss growth. Similar to debris removal or moss removal, this roof maintenance tip may be best left to a professional. However, the combination of some homes having a low, one story gutter line and the use of a far projecting spray treatment might allow for this task to be done by a homeowner. Treating your roof to kill or prevent moss keeps you ahead of the game and can help prevent needing to have a thorough roof cleaning. If too much time has passed since the moss started and a large infestation now exists, treatment likely will not result in a moss free roof but rather, will just kill the moss and keep it from getting larger. Gutters and roofs are interconnected, both physically and in function, which is to properly shed water off your roof. Clean gutters will keep the water from backing up into your home’s exterior walls. 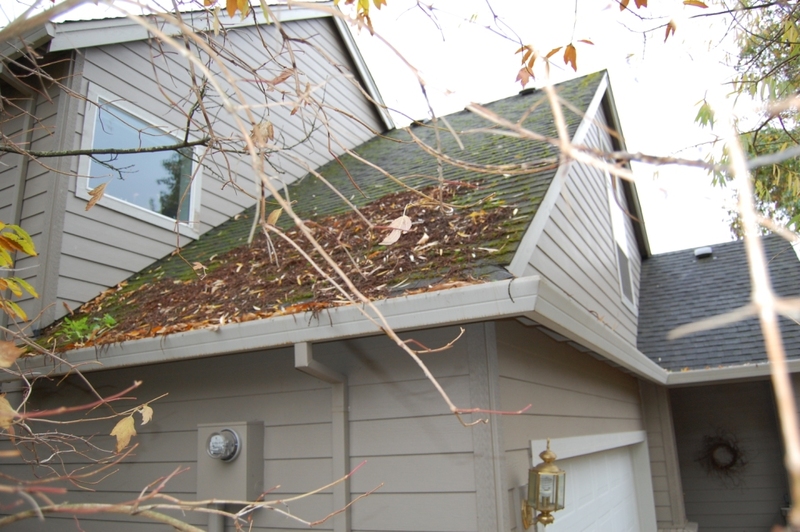 Additionally, gutters full of wet, moldy and mossy debris can often introduce or accelerate moss growth on the roof. While gutters are best cleaned from roof top (which allows for the opportunity to blow debris off the roof, inspect for roof integrity, and risks fewer dented gutters from numerous ladder sets,) we advises most homeowners to clean via ladder (with proper ladder safety being adhered to) in order to avoid the high hazard associated with being on a roof. We don’t normally think of being inside when we are searching for roof maintenance tips. However, the exterior is only part of your roof. There is also an underside. A periodic inspection of your available attic space can be quite beneficial to extending your roof’s life. Look for properly installed insulation (as well as adequate amounts) functioning insulation baffles, functional vents, and an attic temperature that is not drastically lower or higher than the outside temperature. The reason for this is that excessive attic temperatures, from improper ventilation, can damage shingle roofs from the bottom and shorten their life. Ice damming, a problem in that can cause roof leaks, is the result of uneven and unbalanced attic temperatures, which results in melted snow and ice from a warm section of the roof being trapped behind dammed snow and ice on a cold part of the roof. Finally, a complete lack of ventilation can cause mold to start, which is not necessary a roof problem but a nasty situation to have to deal with regardless. No, they not actually part of your roof. But they are in close proximity and affect your roof’s health and longevity, making tree upkeep part of your roof maintenance. Trim back any branches that directly overhang the roof. Common problems are shade causing moss to start and grow more quickly, moss falling out of trees and taking hold on roof, excessive debris build up, and the actual physical safety of roof. When a branch breaks, it should not hit the roof on its way to the ground! Keep the space above your roof clear of tree branches. Periodically following these tips will help keep your roof well maintained and maximize its life. 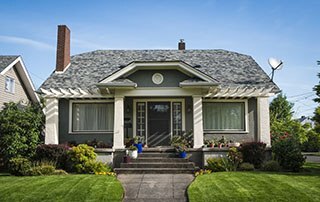 If you encounter any of these tasks that are beyond your comfort level, please give Portland’s best roof cleaning and maintenance company a call. 503-590-9274. 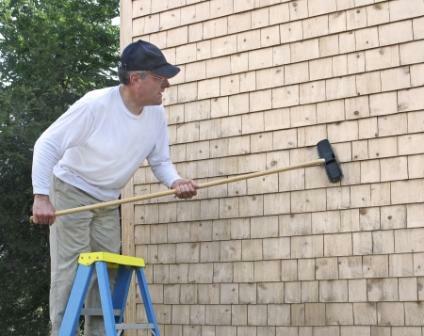 How to Extend the Life of Roof Shingles? 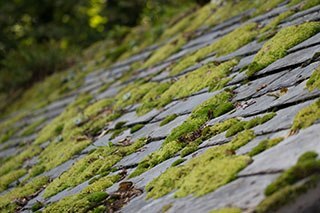 How Do You Prevent Moss From Growing On Your Roof?